The servicesCtrl controller needs to implement the functionality for all the services even if the user isn’t registered at all of them. The solution to the problem is to use custom directives for each service and add it to the template dynamically only if the user is registered. With this pattern you could add each service section in any order you want, assuming this info comes from an api. More over each directive would encapsulate its own functionality and only in the relative controller, template and css file. We can see that for each service we have a respective directive with all the required files along. More specifically we have directives for 4 azure services, Active Directory, BizTalk, RedisCache and Scheduler. Here is the code for the RedisCache directive which is responsible to display and handle RedisCache service related functionality. The azure.core module holds the api that fetches any data required to feed the azure service directives. We ‘ll take it a look later on. This directive will take a user’s id parameter in order to fetch user’s services through the api.. If the user change, we make sure to re-activate the azure directives for that user. 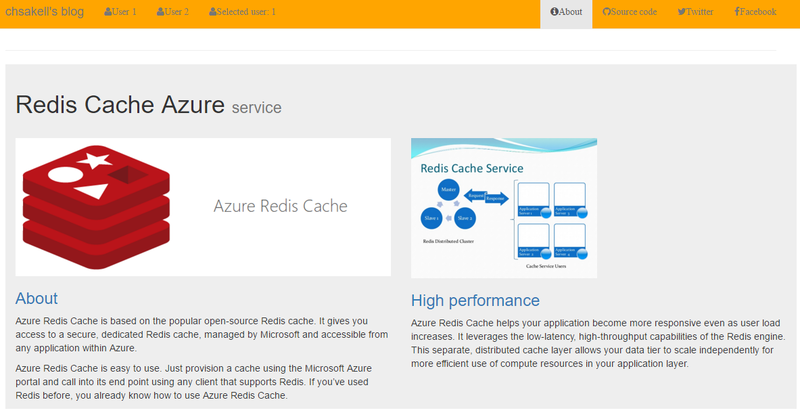 Let’s see now how those azure directives are rendered. Each service found for the selected user is passed to an azureService directive. 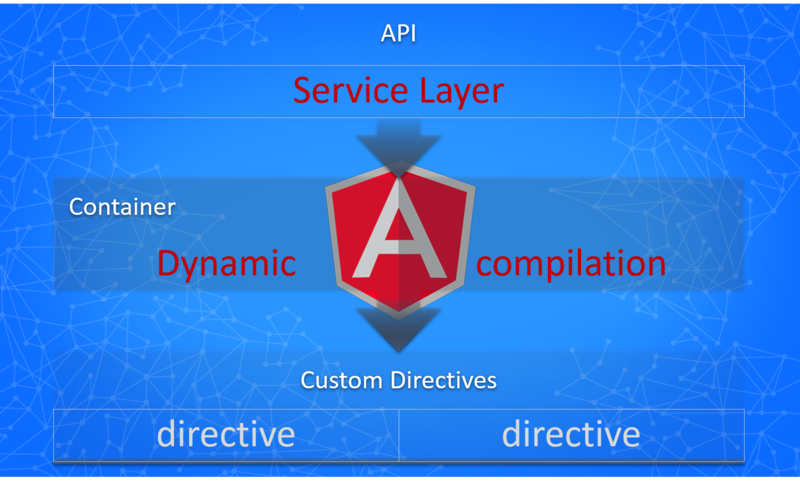 The only thing that this directive has to do is to angularJS compile the specific directive found in the scope.service.type. I believe now is the right moment to view the api..
As you can see each service has definitely a type which is being mapped to certain azure-directives. Depending on the service type you may add any custom property that azure-service directive may need (dynamic behavior). How to consume this external-lib? The selectedUser is just an id which will be used from the lib’s api to fetch user’s services. In the app I have declared two users’s that have been registered in azure services in a different order. You can switch the selected user and check how this library works. That’s it we have finished! 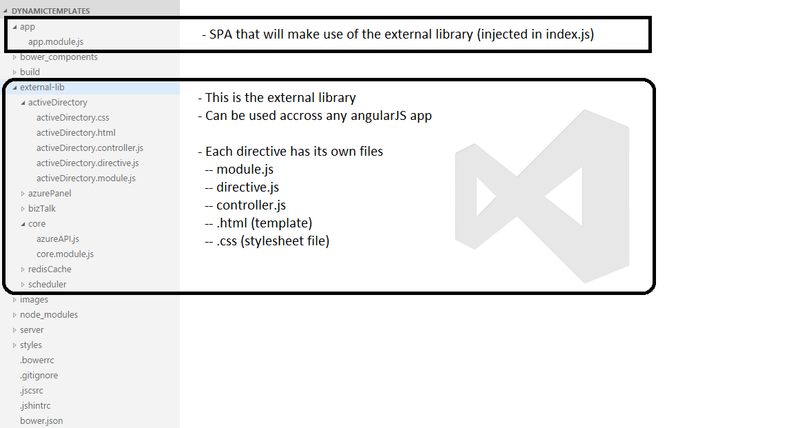 We saw how to create a re-usable angularJS library and how to create dynamic views using AngularJS. You can download the project I created from here where you will also find instructions on how to run it. Very helpful post Chris, many thanks..